What began as an individual physician medical practice in 1859 in the small rural community of Onaga, Kan., has grown into a regional healthcare system spanning 10,000 square miles in three counties in northeast Kansas. The vision for this regional system was seeded by dedicated doctors, nurses and hospital staff and guided to fruition by a series of forward-thinking hospital administrators and board members. 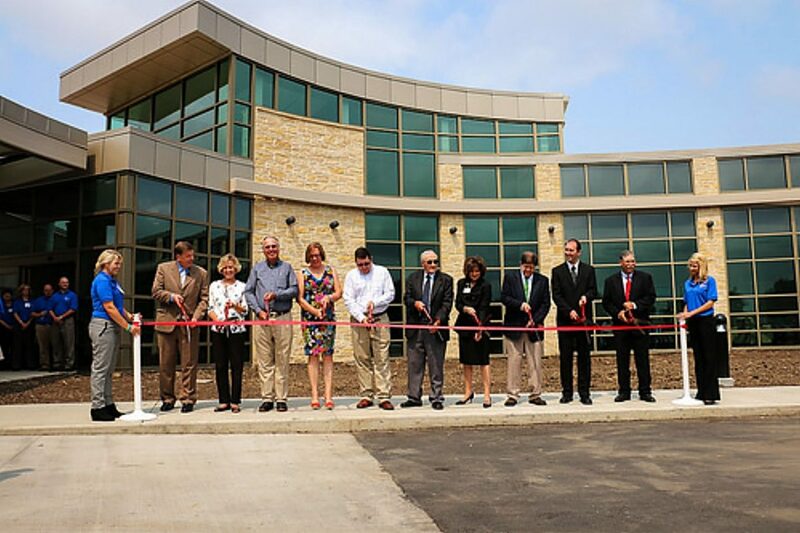 Last month, Community HealthCare System took another step forward and cut the ribbon on their new hospital/hospital renovation project in Onaga. The project was financed through a $17.59 million Community Facilities direct loan from USDA Rural Development and a companion $2 million USDA Rural Economic Development Loan from Bluestem Electric Cooperative. 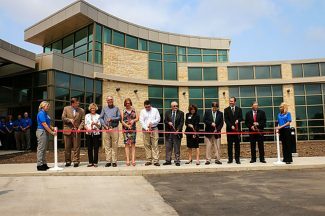 The new Onaga hospital expansion includes surgery, emergency and pharmacy departments, as well as a physicians' lounge, new entrance, lobby and reception station. 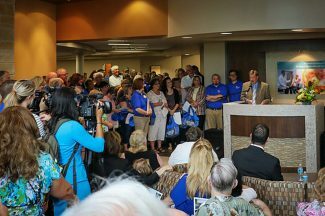 Renovations to the hospital will provide clinic space, laboratory, lobby, admitting area, gift shop, dining area, laundry and maintenance area and an administration department. The enhancements will help increase patient privacy, and provide physicians and staff with access to newer equipment and technologies. According to Todd Willert, current CEO of CHCS, this expansion was possible because of widespread community support and solid leadership at the local level. The general obligation (GO) bond resolution was passed by an overwhelming 80 percent yes-vote of the hospital district served by CHCS. This ringing endorsement "pays homage to the rich history of communities working together" and the recognition that a regional effort doesn't translate into loss of local control or quality of care. The hospital employs approximately 450 individuals and has an annual payroll of $16 million. "Our employment opportunities bring new faces and families into our communities, but a walk through our halls also shows that many decedents of the early families are still actively engaged in our healthcare system, " according to Willert.